Domaine de Saint-Guirons belongs to Francois-Xavier Borie, proprietor of Château Grand-Puy Lacoste. Classified as a 5th growth, Château Grand-Puy Lacoste is widely recognized as one of the greatest wines of Pauillac. This appellation enjoys a longstanding and well deserved reputation as Bordeaux’s most fashionable and expensive address. 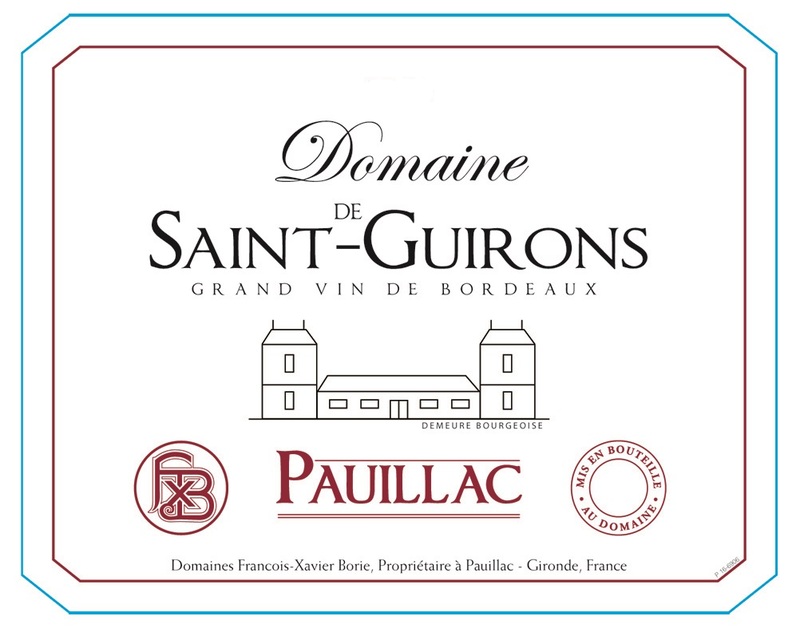 Domaine de Saint-Guirons is a limited bottling of Pauillac made by the same great winemaking team as Château Grand-Puy Lacoste. Moreover, it benefits from Borie’s meticulous attention to quality. The grapes for Domaine Saint-Guirons are a selection from the Puy Lacoste estate; and this is an special bottling that enjoys the same pedigree of fruit, exposition, and meticulous winemaking that goes into the production of Château Grand-Puy Lacoste and Lacoste-Borie.